The following template is very similar to the Blog Large Image template as the layout is the same, only instead of having a post excerpt, the whole post is listed. In order to set this type of layout please select Blog Large Image Whole Post from the Template dropdown under the Page Attributes area of the page you’re currently editing. Afterwards, you should set the parameters inside the Qode Blog metabox to list the posts appropriately. 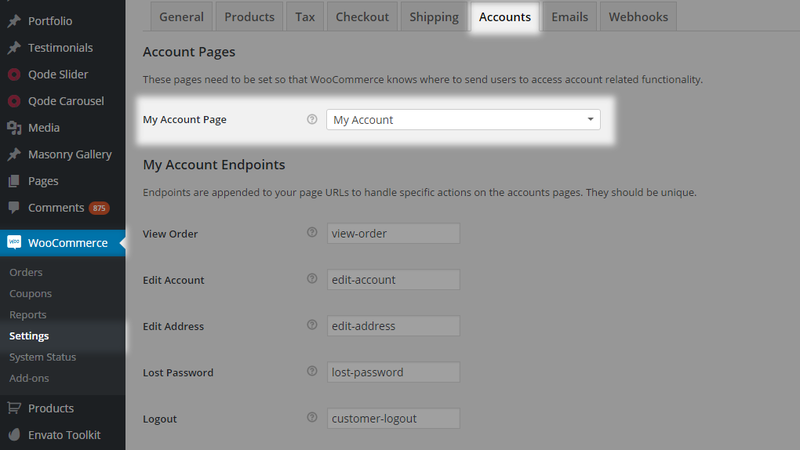 Additionally, if you have the WooCommerce plugin installed you will get a WooCommerce page template dedicated particularly for WooCommerce default pages. Notes: If you’re going to create a One-Page Site you should use either the Full Width or Default page templates. Notes: The Landing page template doesn’t display a Header or Footer. 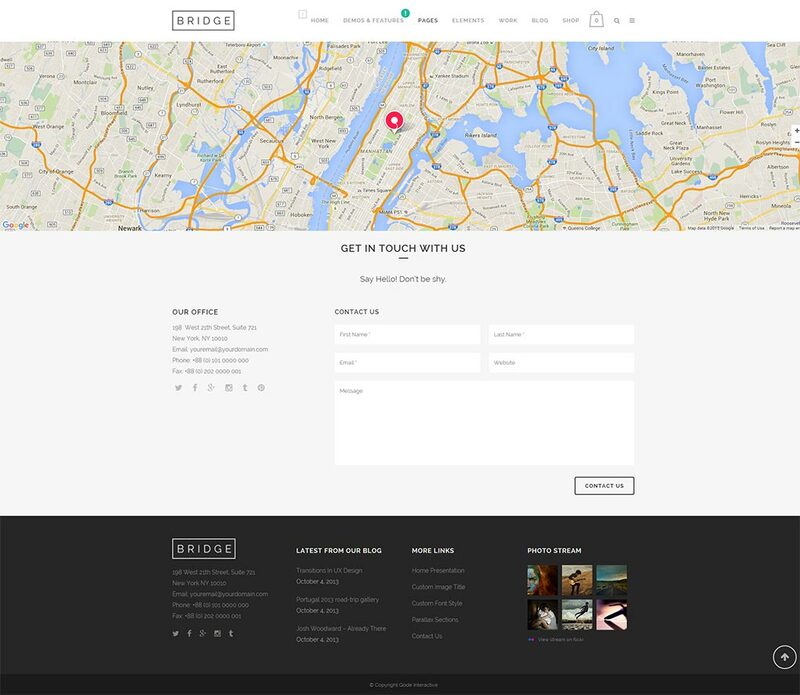 The next few page-level sections are meant to serve as a page options knowledge base that you can turn to at any time, whether you’re looking to get more familiar with Bridge settings or you’re after that one particular soft touch to make your website stand out. The settings listed in the Qode metaboxes under the content editor will override the global settings set in WP Admin -> Qode Options. Leaving a setting blank will revert to the global value from Qode Options. Page transition: If you have Page Transition enabled globally in Qode Options and want for some pages to have different loading or transitioning, you can set that here. 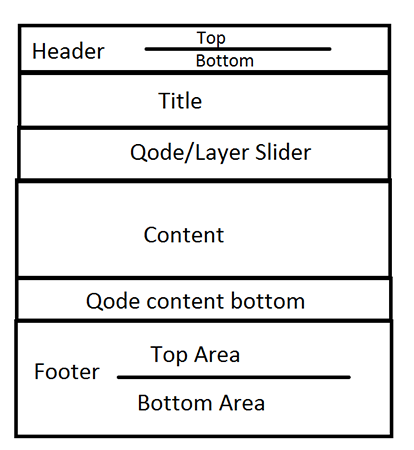 Layer Slider or Qode Slider Shortcode: As you can see on our page structure, any page can contain a Slider that is always placed below the header but before the content. This element is implemented through said field. Important: This is the only right way for inserting a Qode Slider on your page, while the Layer Slider can be also placed in the page content area using the LayerSlider shortcode. In order to display a slider using this field, all you have to do is paste the shortcode of the desired slider into this field. How to get slider shortcodes that should be pasted inside this field? Always put content below header: The Bridge Header behaves dynamically - If it has some transparency set, the Title (if enabled) or Qode/Layer slider (if set) will be pulled below it so the header will overlap it. If you don’t like this effect you can disable it using this setting which will place all elements (title – slider – content) below the header. 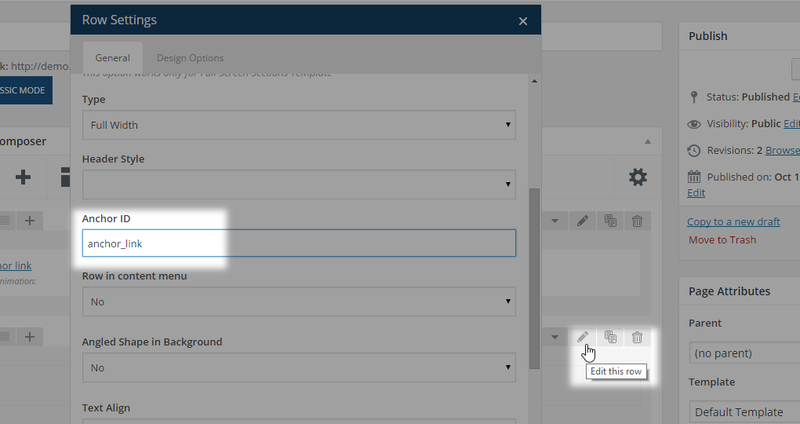 Setting this option to Yes will put all page elements below header, while No will disable that. Header Skin: If you want for a particular page to have a different header skin - other than what has been set in Qode Options -> Header, this field lets you define that. Leaving this field empty means this page header is using the default setting. Setting this field to Yes will change the header style based on row settings, while setting it to No will disable that functionality. Note: This setting is applied only if Sticky header type has been set inside header settings. Leaving this field empty means the page header is using the default setting from Qode Options, while setting this field to Yes will hide header initially and No will disable that behaviour. Don’t Show Title Area - Are you looking to hide or modify the title area on a page you are building? 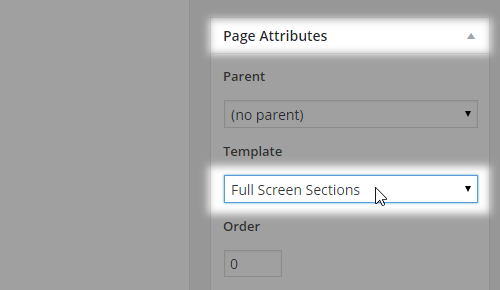 No - Selecting this value enables the same extra option fields for defining page title area. If the title area is enabled in general settings then values set in the fields below will let you override any general setting. However, if the title area is disabled by default, we recommend using this setting to display the title area on this particular page. Yes - Use this setting to hide the title area on a particular page. Animations – choose whether to enable an animation effect for the title area. Default – The default value from Qode Options -> Title -> Don’t show title text option will be used. 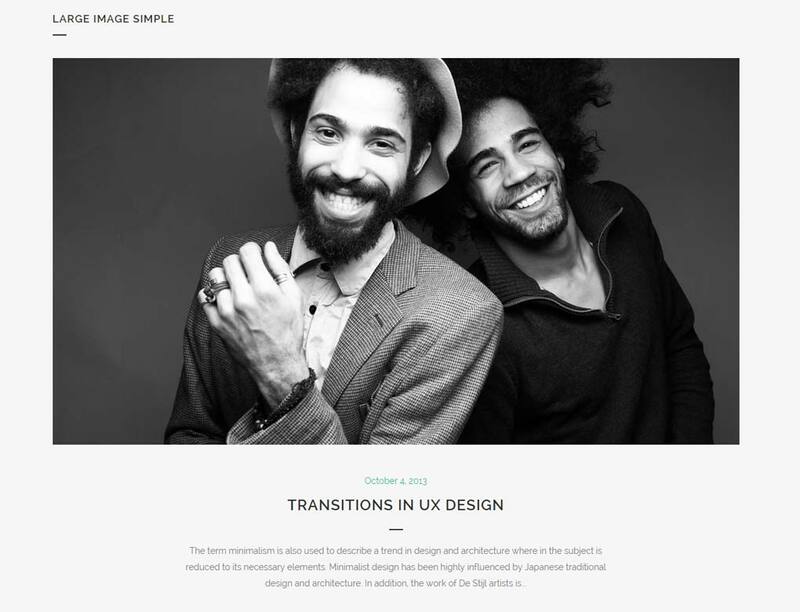 Parallax Background Image – Choose if you want to have a parallax effect applied to your title image. You can choose between four values: default (empty value), No, Yes, and Yes, with zoom out. Title Height (px) – Define the desired title height. The value should be set as absolute numeric value, omitting px at the end (- for example 500). This value will override the global setting setting from Qode Options -> Title. Separator Under Title Text – Set this option if you want to have a separator element displayed under the title text. You can chose one of the three values: default (empty value), No to hide it, or Yes to display it. Separator color – Set the desired separator color if you have a separator element enabled either in Qode Options -> Title, or on the particular page only. Yes – Angled title will be used and a panel with extra settings for the angled title will be displayed. Subtitle text – area in which you can enter the text that will be displayed below the title text inside the title area. 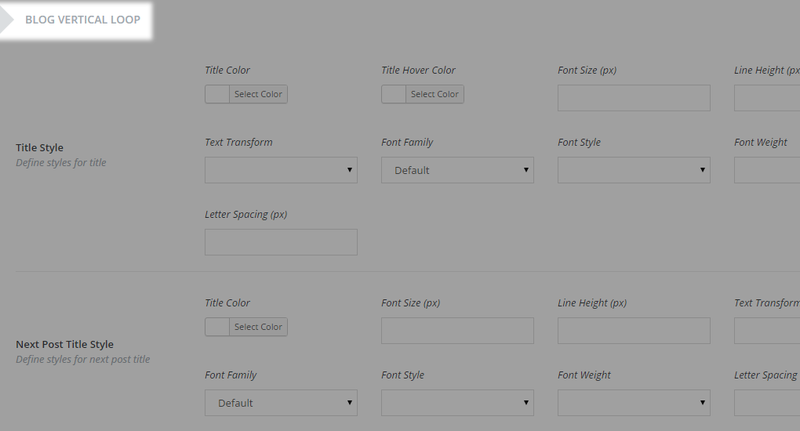 Spacing After title - Additionally, no matter which option you chose two more fields are available and they represent the Spacing After title setting. The first field lets you specify a spacing value in px (no need for typing in the px, just enter the absolute numeric value) while the second one is a dropdown for selecting if this rule should be applied on mobile header as well. If you need a widget area to provide you with some extra space for additional content between the page content area and the footer area, then you can use the Qode Content Bottom area. 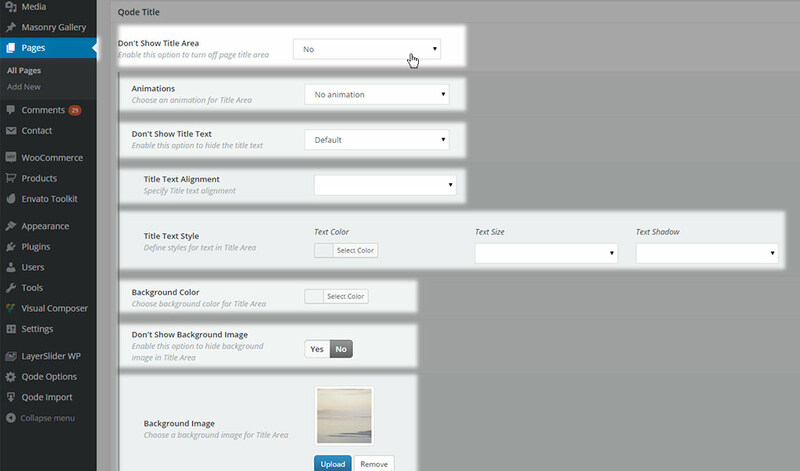 To populate the Content Bottom area you should use widgets - set through WP Admin -> Appearance -> Widgets. This area can also be defined as a general property via Qode Options. Blog Category - In this field you can choose one of your post categories to be displayed. By setting the field value to empty, all categories will be displayed. 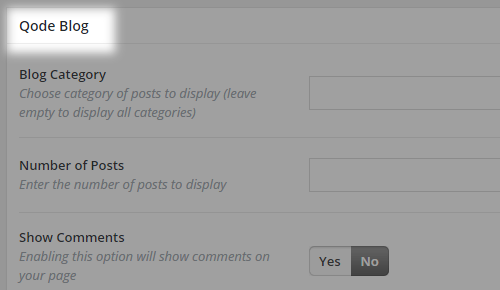 Number of Posts - Choose the number of posts to be displayed on your page. To display all, leave the field blank. 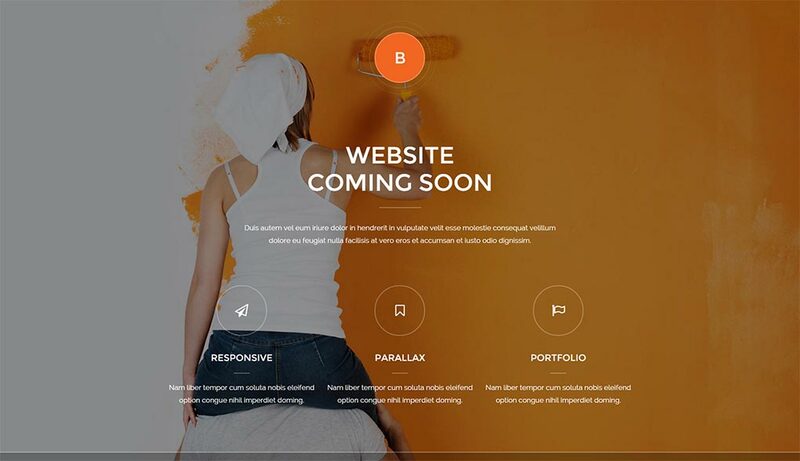 Note: Comments are available only for the Default template, Full Width template and Landing Page template. assign one or more widgets to it and select it from this dropdown. Meta keywords – A list of keywords you want to assign to your page. Words should be divided with commas. Meta description – Meta description for your page. 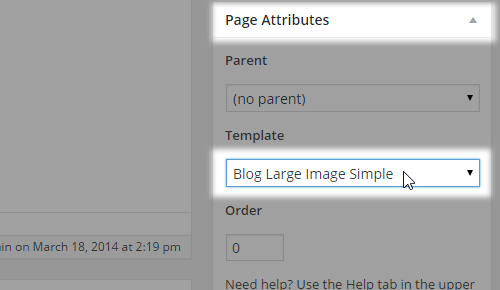 All settings for blog related templates can be found in Qode Options -> Blog. 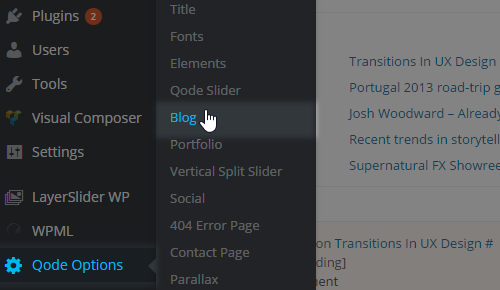 When using a blog template, on a page itself the user can set if all post categories should be displayed or just a particular one. If this field is left empty, then all categories will be displayed. Note: Any content you add from the back-end to a page that has a Blog template set will be displayed before the post listing. This page template represents the very basis - A page has this template by default. With this template the content will always be in grid. 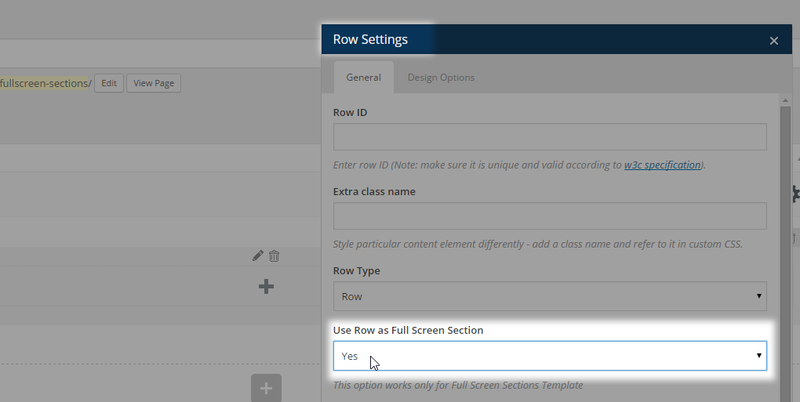 The content is added to Visual Composer row elements which are the main container elements you will work with. 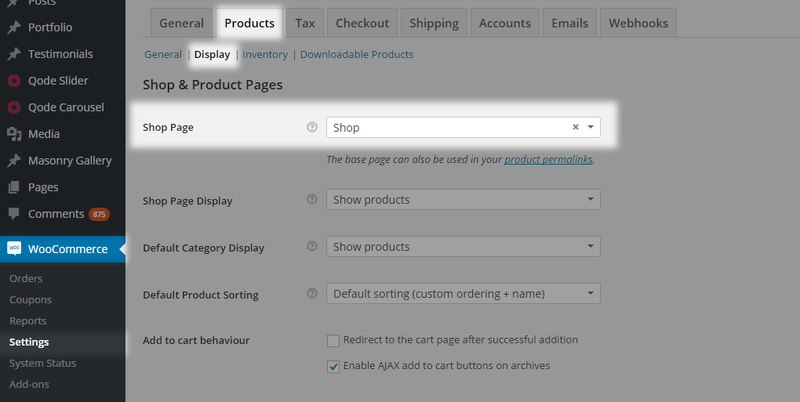 You can add content to a row by clicking on the plus icon and adding any shortcode you like. You can also set the layout of each row you add (how many columns the row should have) by hovering over the Custom layout icon on the upper left and choosing a column division layout. Please note that Visual Composer doesn’t support five columns layout. This template displays a featured image, a left-aligned post excerpt below it with additional info about the author, time and date of the post, as well as comments and social sharing info. In order to set this type of layout please select Blog Large Image from the Template dropdown under the Page Attributes area of the page you’re currently editing. 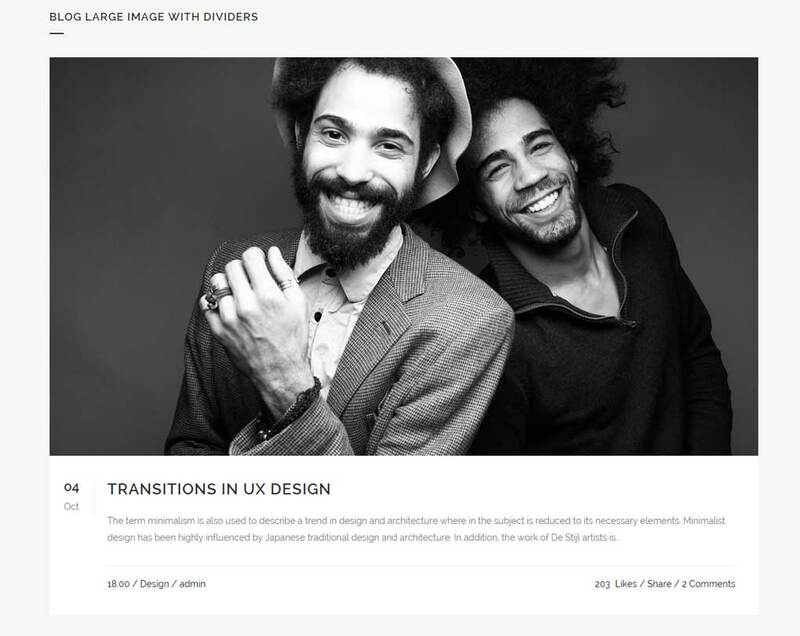 This template displays a featured image, a centered post excerpt and a post publishing date. In order to set this type of layout please select Blog Large Image Simple from the Template dropdown under the Page Attributes area of the page you’re currently editing. Similarly to Blog Large Image, this template features the same post info and content structure - additionally styled with separators. In order to set this type of layout please select Blog Large Image With Dividers from the Template dropdown under the Page Attributes area of the page you’re currently editing. 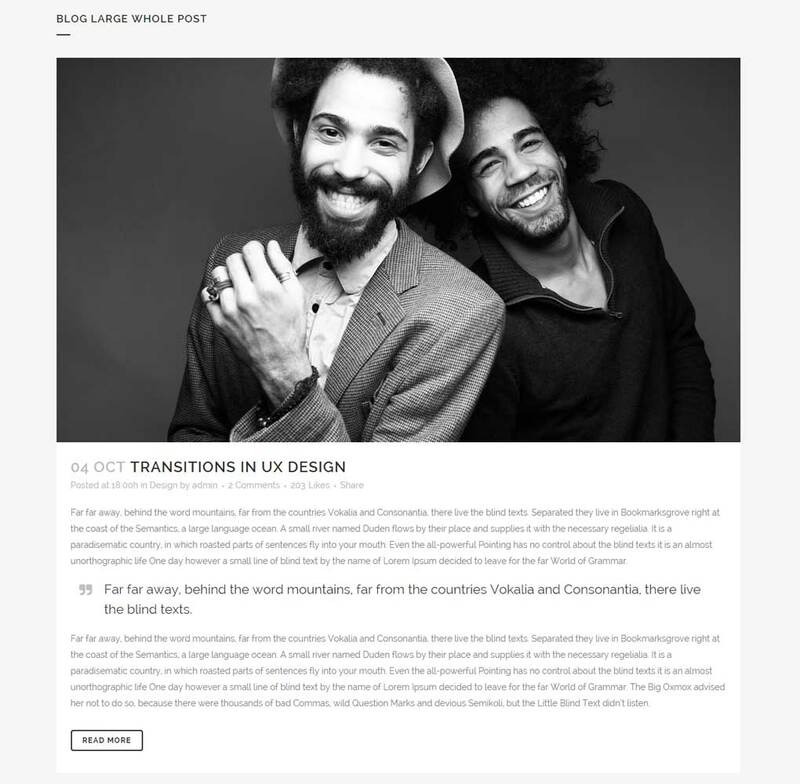 These blog templates consists of posts’ featured images with a short description (excerpt) for each post. The layout is organized in boxes that rearrange on browser resize. There are a few variations. This is the most basic masonry template. Featuring a mosaic-like layout with a featured image of each post, post description (excerpt), date and comments info. 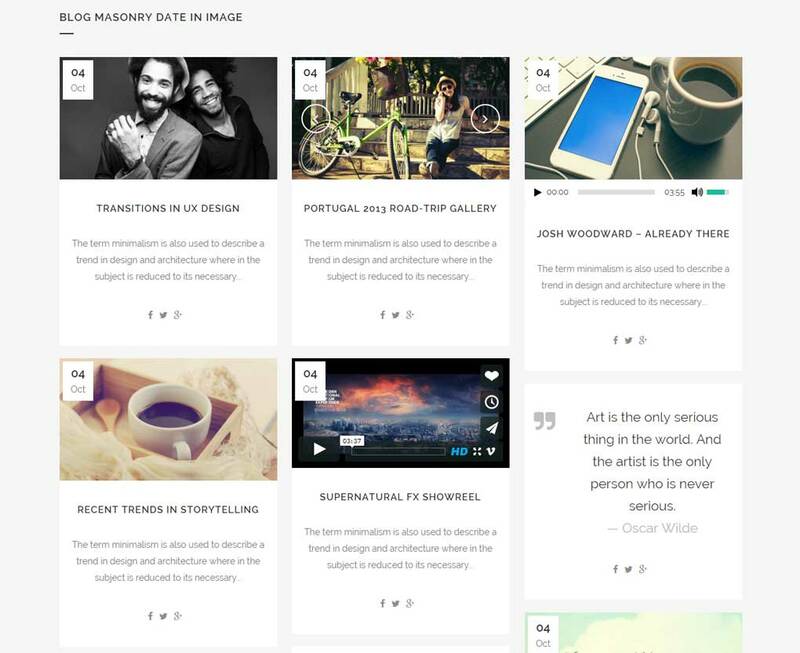 Posts are displayed in a masonry styled manner inside the grid (max-width: 1100px). 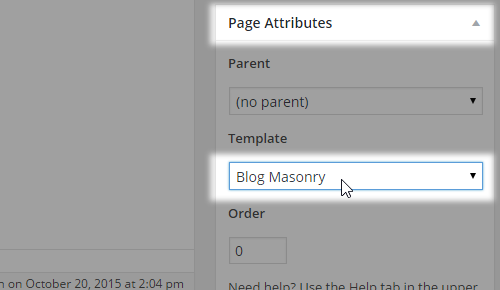 In order to set this type of layout please select Blog Masonry from the Template dropdown under the Page Attributes area of the page you’re currently editing. Derived from the basic Blog Masonry layout template, posts are displayed in a masonry arrangement with the date displayed over the featured image. 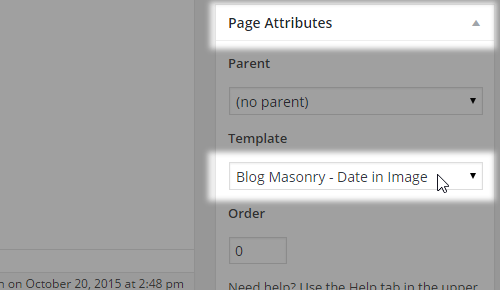 In order to set this type of layout please select Blog Masonry - Date in Image from the Template dropdown under the Page Attributes area of the page you’re currently editing. 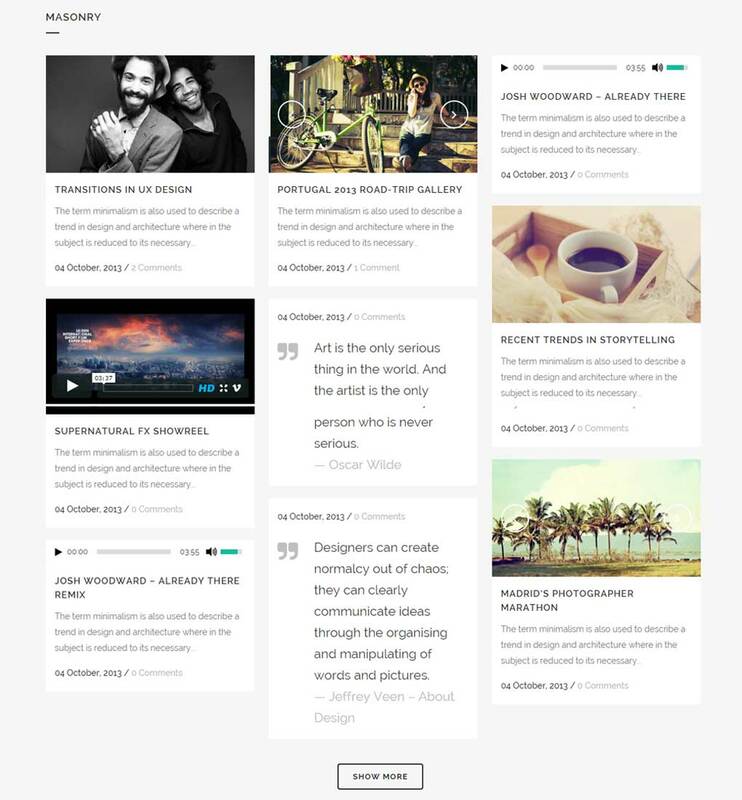 This template is the same as the main Blog Masonry layout, except the posts and entire blog listing section are set in full width. 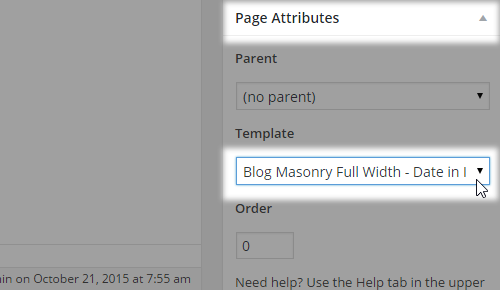 In order to set this type of layout please select Blog Masonry Full Width from the Template dropdown under the Page Attributes area of the page you’re currently editing. Apart from setting these parameters on a page-level basis, additional options for this template can be found inside Qode Options -> Blog -> Masonry Style section. Similarly to Blog Masonry - Date In Image the layout sets date info over the featured image, but this variation puts the whole blog list in full width. In order to set this type of layout please select Blog Masonry Full Width - Date in Image from the Template dropdown under the Page Attributes area of the page you’re currently editing. 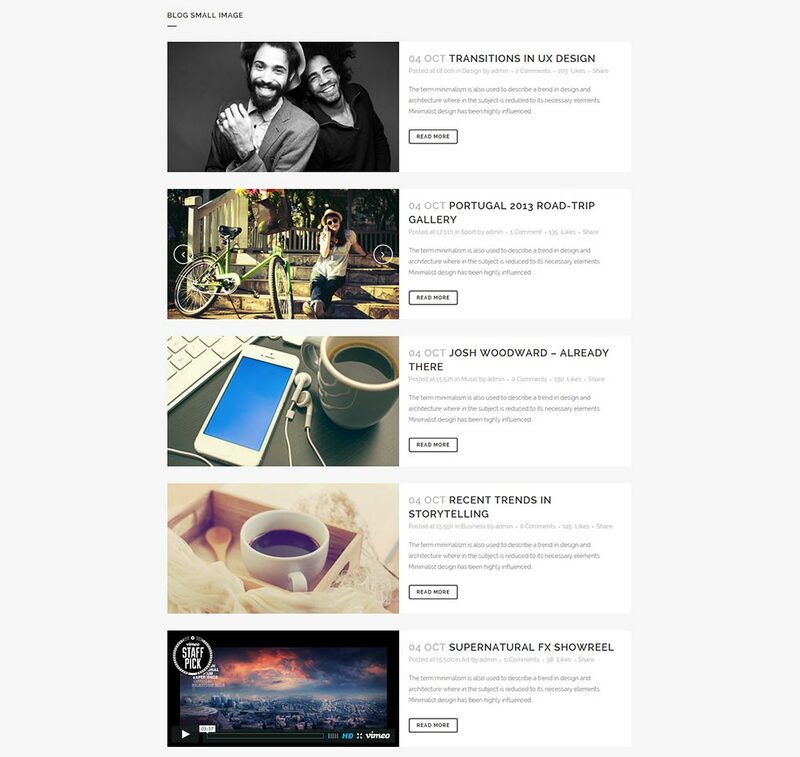 If you prefer a more compact blog list, this layout may catch your interest. It is a basic image-on-the-left / description-on-the-right kind of a layout where you have the post excerpt, date, author, comments and sharing info displayed. 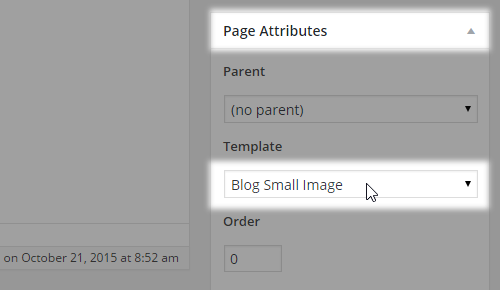 In order to set this type of layout, please select Blog Small Image from the Template dropdown under the Page Attributes area of the page you’re currently editing. This is a very engaging and modern blog listing template that consists of an entire post displayed as the main content, and the featured images of both previous and next posts displaying at the top and at the bottom of the page - respectively. This way you can easily navigate onto the next/previous post. In order to set this type of layout please select Blog Vertical Loop from the Template dropdown under the Page Attributes area of the page you’re currently editing. To set up a contact page on your website, you can use our built-in page template – Contact Page. With this template you can have your contact page ready in just a few minutes. Once you select this template from the Templates dropdown under the page attributes and save changes, you should add the content to the page and style it. 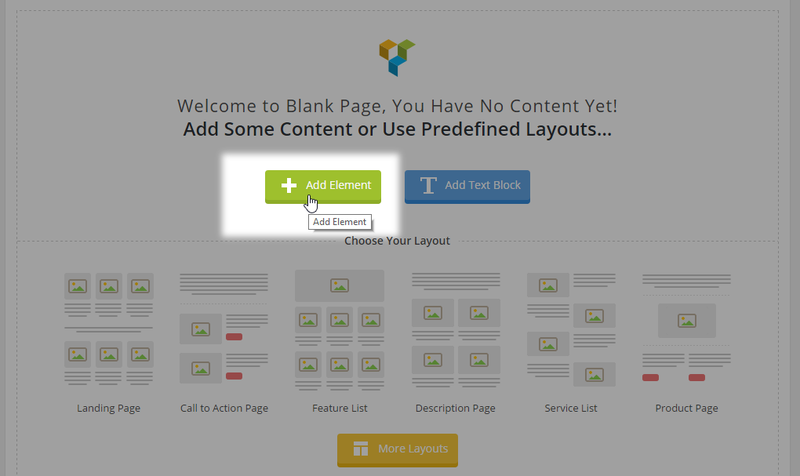 Any content added to this page template from the content editor will be displayed in grid - 1100px wide. Please note that if you’re using the Contact Form feature, the content will be positioned within the left half of the whole page and the contact form itself will be placed on the right. To set up your contact form properly, please navigate to WP admin -> Qode Options -> Contact Page. You can choose whether to Enable Google Map, which supports up to 5 different addresses, and/or whether to Enable Contact Form. Upon enabling Google Map feature, a new group of options will become visible below – Google Map Settings. Use latitude and longitude to define the closest available coordinates to your desired location. Note: To setup Google Map on its own, you can use Google Map shortcode related link in combination with some other page template, using the Visual Composer element. The second option under Google Map Settings is to upload a Pin image for addresses you have previously entered. Note: all map addresses will have the same pin image. If you omit uploading an original pin image, the default one will be used. You can also set Map Height. In case you leave this field blank, then the height will take the default value of 450px. Note: Google Map used within the Contact Page template has to be full width and it can’t be changed from Qode Options. Zoom Map on Mouse Wheel is a neat option to improve UX. It lets you trigger the scrolling of the map on the mouse wheel scroll action. If you enable this option the map will be scrollable. Note: This option doesn’t have any effect on touch devices. The map isn’t scrollable on them. Finally, you can use Custom Map Style to give a personal touch to how your map will render on the front-end - you have the possibility to style the map with an overlay color of your choice for which you can choose saturation and lightness. 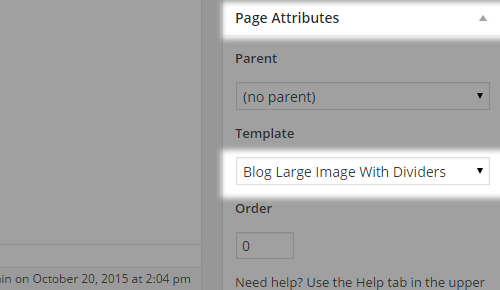 In WP Admin -> Qode Options -> Contact Page you can enable Show Upper section. This section allows you to set a dedicated Title and Subtitle and modify their alignment. If you choose to display this section, both title and subtitle will be displayed. The default title value is “Get In Touch With Us” while the default value for subtitle is “Say Hello”. In order to change these phrases just enter some values in the Title and Subtitle fields. You can always hide this whole section by selecting No for the Show Upper Section option. However if you want to remove the subtitle only, just enter some white space into the Subtitle text field and Save Changes. That way, only the title will be visible above the contact form. The last thing left to set up is the contact form itself. 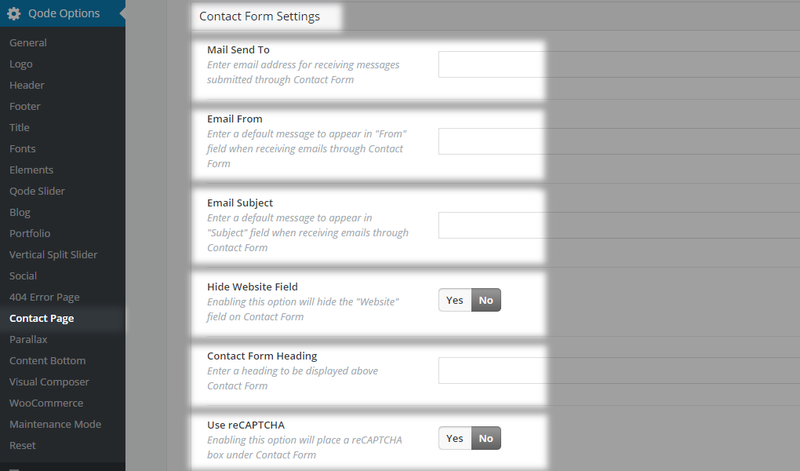 Our contact form has five input fields: First Name, Last Name, Email, Website and Message. The layout of the contact form is predefined, except that you can remove the Website input field which is the only field that isn’t required. Under Qode Options -> Contact Page -> Contact Form Settings you should enter your email address in the Mail Send To input field. This email address is the email address where all contact form entries will be sent to. Please make sure that the email address is valid and that uses only the English alphabet (other charsets such as Cyrillic, Hebrew, etc aren’t supported). In the Email From field you should enter a default address to appear when receiving emails through Contact Form - e.g. mysite@wordpress.org . Save and re-upload the file back to your server. In the Email Subject input field enter a default message to appear as the Subject of each contact form entry in your inbox. We recommend you not leave any of these three fields empty. With the Hide Website Field you can remove the website field from your contact form. If you would like to add a heading above the contact form, enter some text in the Contact Form Heading field. - e.g. Contact Us. By default, Google Map, Upper Section and Contact Form are enabled. To test if the contact form works properly, open your contact page and enter some values in it. If not then you will see an Email Server Problem. Before sending a ticket to our support team please make sure that you have a valid email address entered in both Mail Send To and Email From input fields. To translate theme related labels (Contact Form included) we recommend using the CodeStyling Localization plugin or PoEdit. Note: If you enable Page Transitions for your contact page and reCaptcha, then reCaptcha will be in focus on page load (which means that the page will be scrolled to reCaptcha on load). If you don’t want to use the Contact Page template, then you can instead use some plugin like Contact Form 7 to create your contact form and add it to any page with any other page template. Next, make sure that you are using the Visual Composer back-end editor and not the Classic editor. Click on Add Element and choose Row from the popup window. Now you can start adding shortcodes to that row. That row will be the first full screen section. If you want to create another one just repeat the steps above. Note: If you are using this template, the footer will not be visible on the page, so you should create it manually from the bottom full screen section. Also, please have in mind that you can’t use Ajax Page Transitions in conjunction with this template. 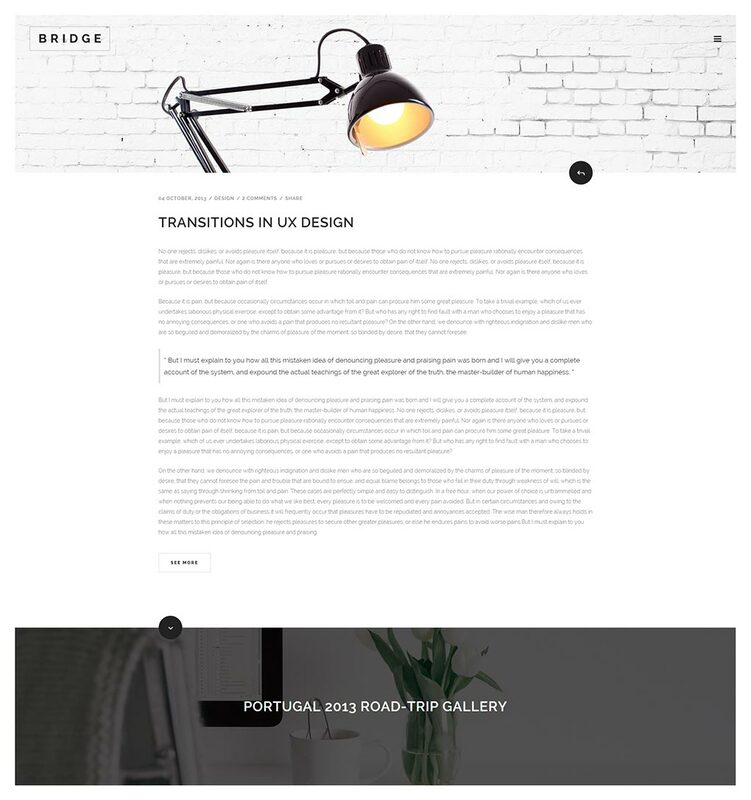 Using this template lets you have a modern styled layout that is either completely or partially in full width. 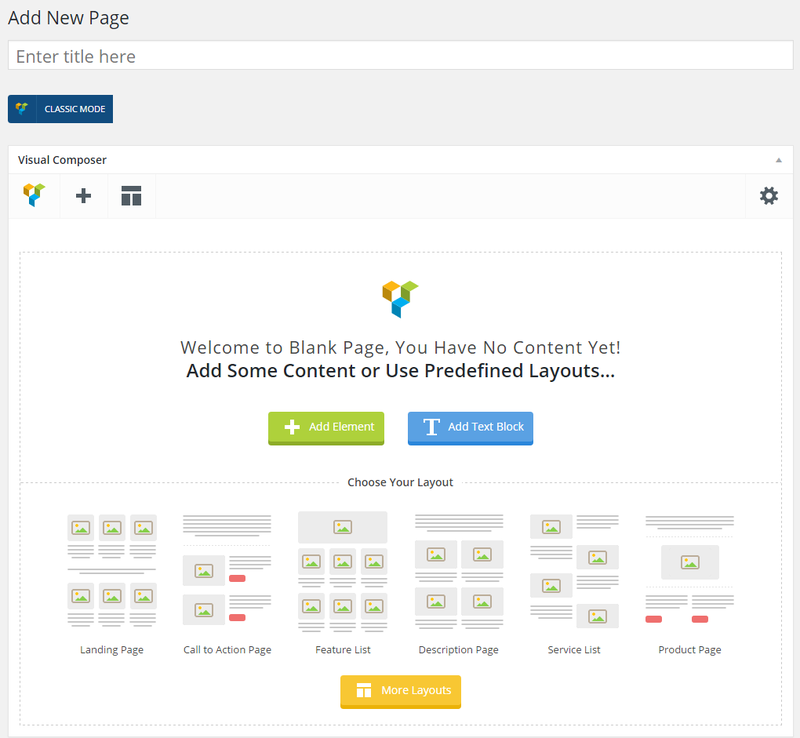 First make sure that you are using Visual Composer’s back end editor and not editing in Classic Mode. Select Full Width from the Template dropdown. 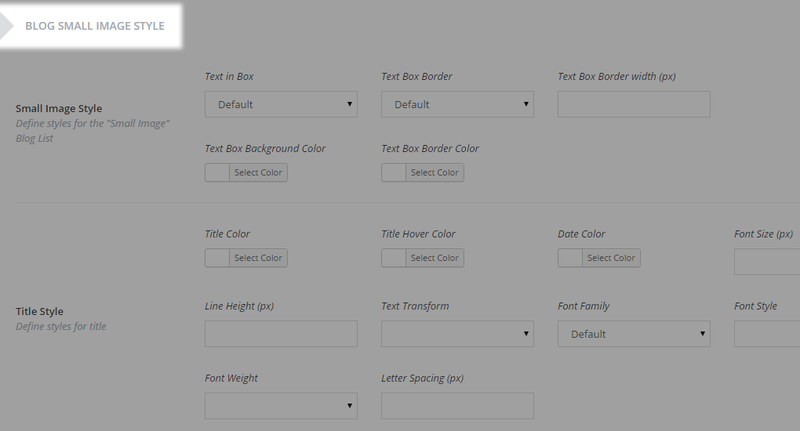 The most important option under Row Settings for this template is Type which can have one of the two values: In Grid or Full Width. Choosing one of these options defines how the content will be displayed. If you choose In Grid, the row’s content will stay within grid (1100px) and by choosing Full Width your content will take the full width of the screen. Note: In case you can’t find this option you should change the Row Type option to Row and then click on Save changes. Now you can add content to that row by clicking on the plus (“+”) sign and adding any shortcode you like. You can also choose the layout for each row (how many columns it should have) by hovering over the Custom layout icon in the upper left corner of the row and choosing the one you like. Note: Please have in mind that Visual Composer doesn’t support five columns layout. If you want to add another row just repeat the steps described above. With this template you can have both full width and in grid content, while with the Default page template content has to be in grid. The Landing page template is a content-only layout - header and footer areas are not displayed. Its recommended usage is for the entrance page of your site, or in case you have your website under construction. This template can come in handy by not allowing visitors to navigate further - A ‘Coming Soon’ page for Maintenance Mode on your site. Maintenance mode can be set under Qode Options -> Maintenance Mode. When enabling this feature, you need to specify a ‘Coming Soon’ page. It is required that this page uses the Landing page template. 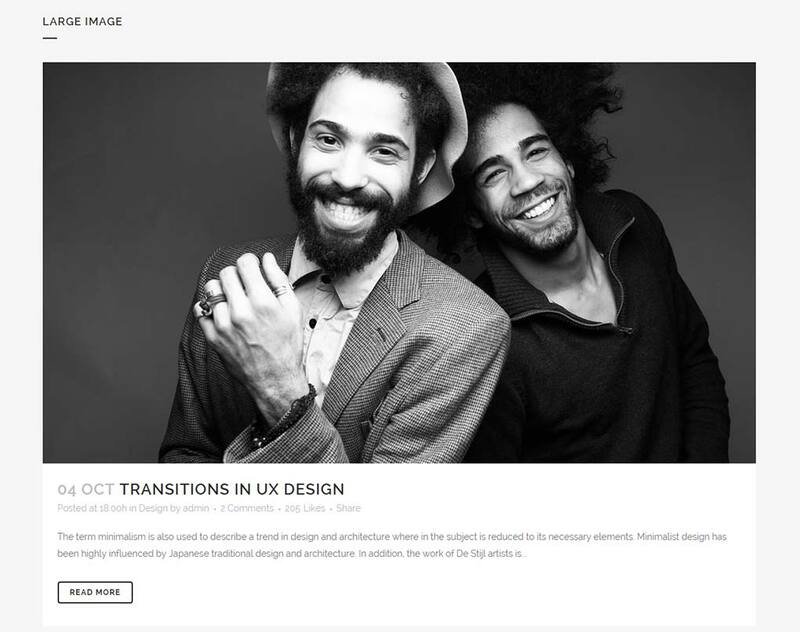 If you are using this page for your entrance (landing) page, then page transitions for your website should be turned off. This can be done in Qode Options -> General -> Page transition by setting this field value to No animation. Note: This template is not recommended for homepage usage on a ‘live’ website, as the navigation would be omitted. Please note that if the page is set to private you will not be able to select that page as the shop page or any other woocommerce page. 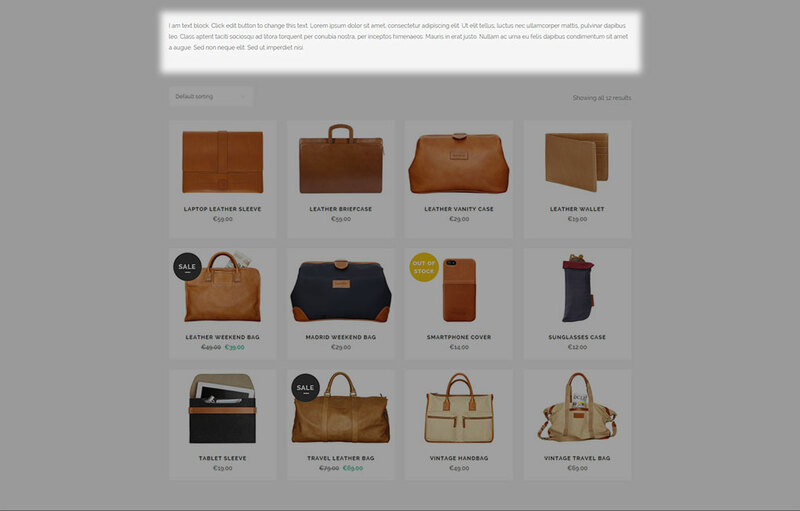 When using this template there is no need to add woocommerce elements on the shop page as it will render the product list by default with a predefined layout. On the other hand, if you’re looking to add some content, you can add it through the Visual Composer backend editor or classic editor and it will be displayed on the page before the actual product list. 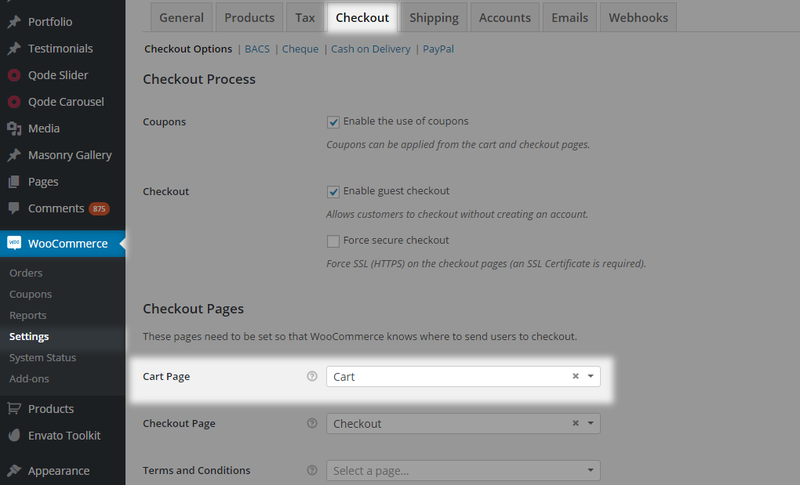 For further customization of WooCommerce pages you should navigate to Qode Options -> WooCommerce. For all additional pages that you’d like to use for custom shop lists etc. where you’d add content through Visual Composer and shortcodes, you should use either the Default or Fullwidth templates instead of the native WooCommerce template. 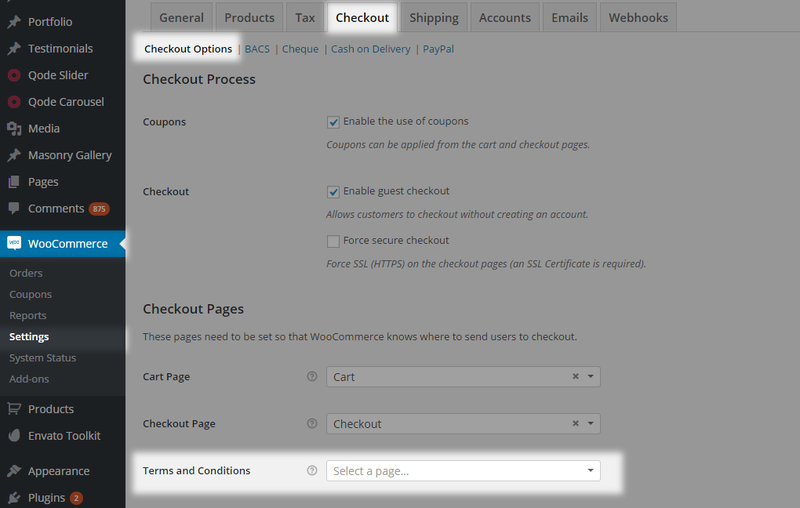 To get a more customized WooCommerce layout we recommend using the Default or Full Width page template with WooCommerce shortcodes. One Page websites aim to provide the perfect amount of information for a user to make a decision and act upon it. More often than not, the key to a proper one page setup is in the styling itself as you can see on our demos. What will provide the one page functionality are anchors. Anchors are HTML tags that provide linking. In this case anchors will let you link to a section on your page. 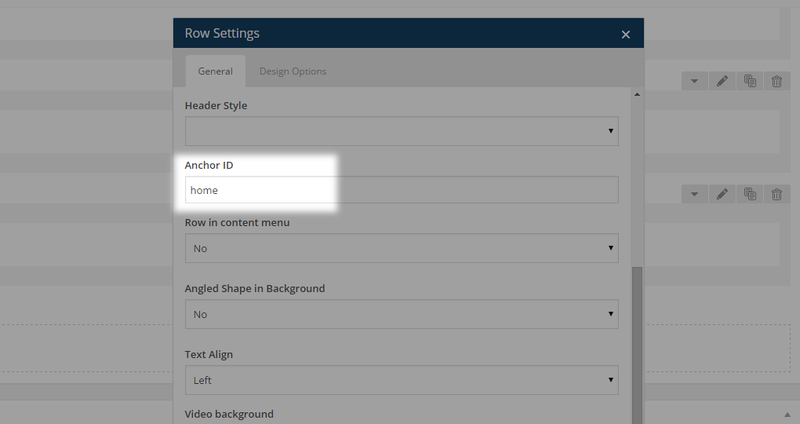 The first step in achieving the one page effect is assigning Anchor IDs to Visual Composer Row elements, placed inside the page content. These Rows should be used as content holders - meaning you should place a part of the content within each of them. Each row container needs to have a unique Anchor ID (without the ‘#’ symbol). Start creating menu items. You should add a single page menu item from the list on your left-hand side. This page needs to be set as your main - front-page, in WP Admin -> Settings -> Reading. Lastly, go to Manage Locations and assign your menu to the top navigation area. 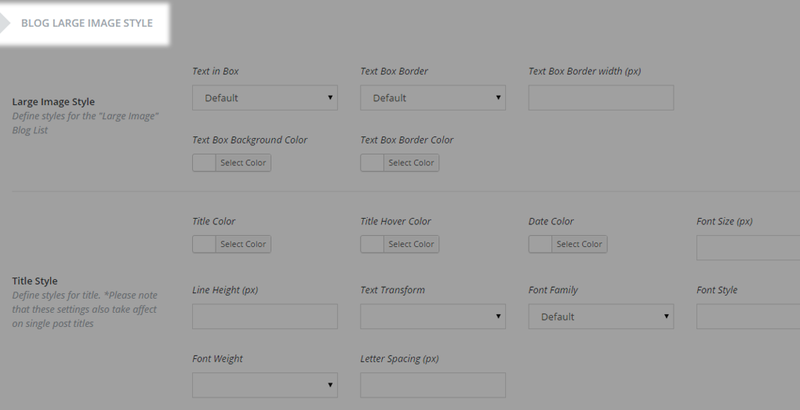 Which navigation area will be displayed inside the locations depends on the header type you have chosen. Save changes. To use a combination of a one page layout with anchoring functionality and other ‘basic’ page layouts, you need to modify your menu items to have them structured in a certain way. 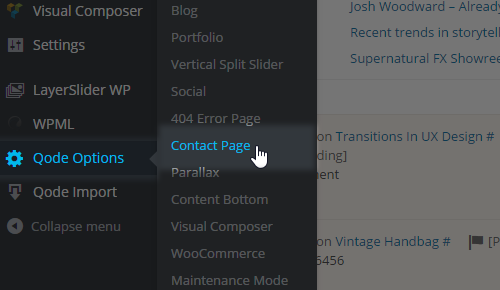 Navigate to WP Admin -> Appearance -> Menus and create menu items as custom links instead of pages. Inside the URL field, enter the full URL address followed by an anchor link. 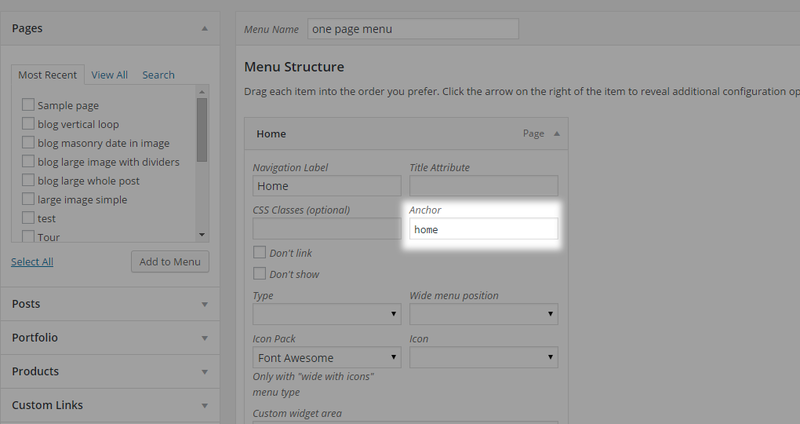 Fill in the desired label for that menu item and leave the anchor field empty. How to create an anchor link that will scroll down to a section on a page from a link located on the page? 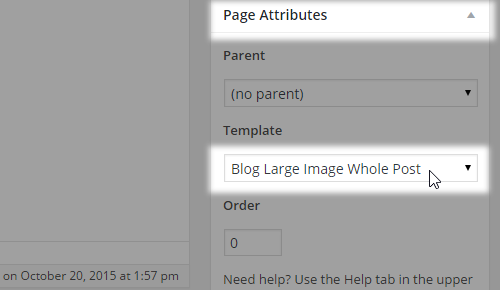 Please go to WP Admin -> Pages -> Add Page/Your Page and add a Text Block shortcode. Inside the shortcode editor add your anchor link. Switch back from Visual editor to Text view and add class="anchor" inside the anchor HTML tag and save. Anchor links need to be with a starting hash symbol. Example (#anchor_link). Then, add a Row shortcode which you’ll scroll to and inside the Row shortcode options you will find the Anchor ID option, fill in your anchor link and save. For example, enter anchor_link. This link needs to be without the starting hash symbol. The created row is just a holder you’re going to scroll down to. 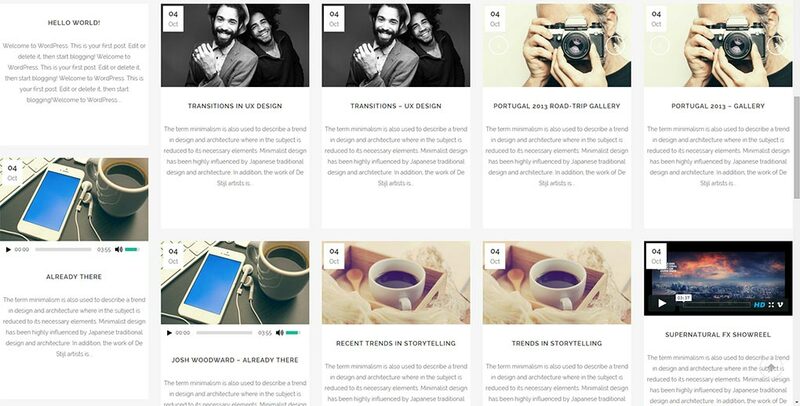 You’re now ready to add elements inside that row to create a section with your original content. Add your elements inside the row and save. Why anchor links don’t work on my site? But when I double click on menu items it scrolls me down to the anchor section? 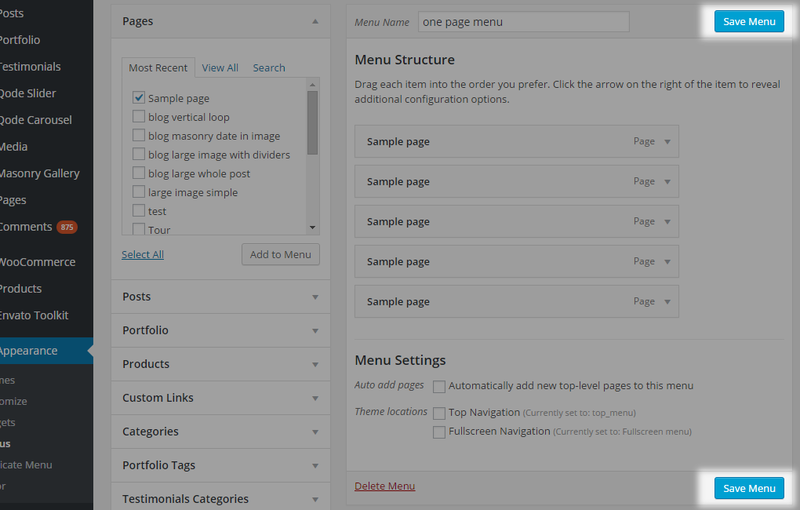 First go to WP Admin -> Appearance -> Menus -> Your Menu. Edit menu items and check the anchor field and your anchor links. Your anchor links need to be without the hash symbol. 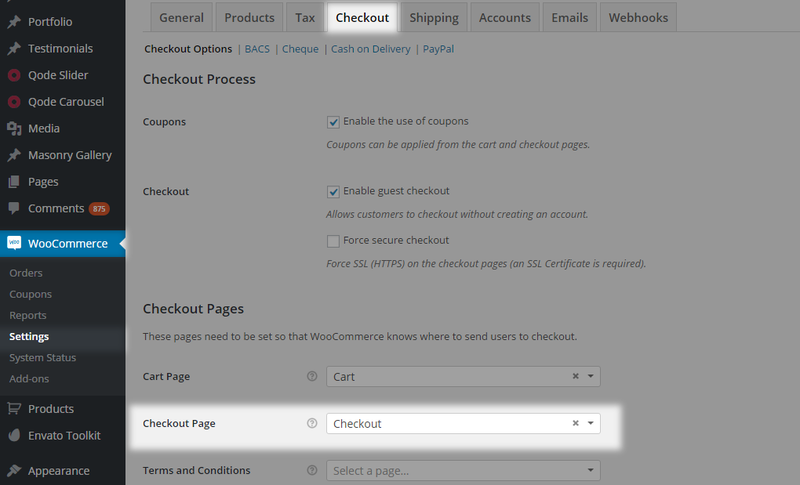 Then, go to WP Admin -> Pages -> Your page and edit the Row shortcodes where you’ve added anchor links. Find the Anchor ID field and check if you’ve added your anchor links without hash symbol (#), if not just add your anchor links without this mark and save. If you still have the problem just submit a ticket to our support forum in regards to this issue (please include your WordPress credentials in the ticket) and our support team will debug the problem. Clicking on anchor link jumps to anchor sections without the animation? Anchor links are not scrolling smoothly. Please navigate to WP Admin -> Pages -> Your Page. Edit the Row shortcodes where you’ve added anchor links and check if you’ve filled in your anchor links inside the Row ID or inside the Anchor ID section. This page template is displayed once a missing URL is referred to in the address bar. The 404 page comes with a predefined layout. 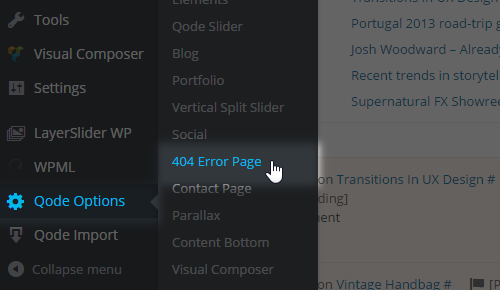 There are a few options in Qode Options -> 404 Error Page which you can use to adjust this page to fit your needs.